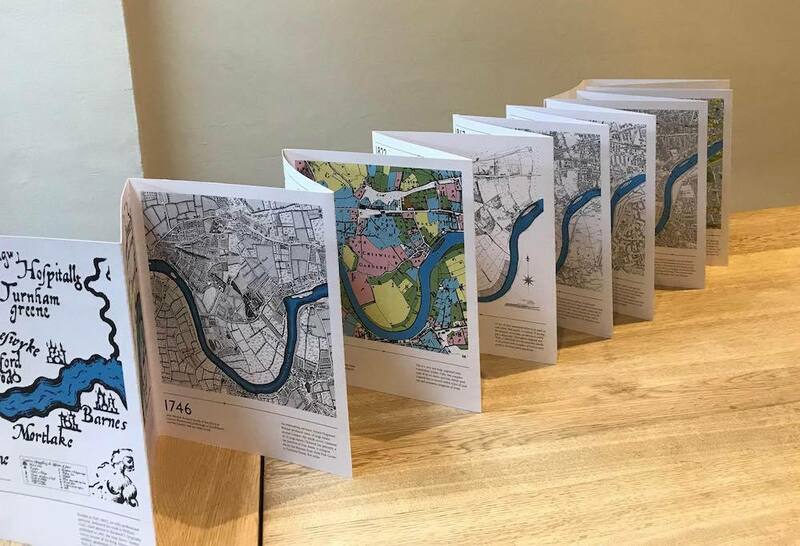 The Chiswick Timeline, a mural of maps showing the history of the pleasant west London neighbourhood, was successfully crowdfunded and launched last month. It appears alongside a road as it passes underneath a railway bridge by Turnham Green station. A commemorative book, reproducing the work, is available to buy online or at Foster’s Bookshop on Chiswick’s high street. 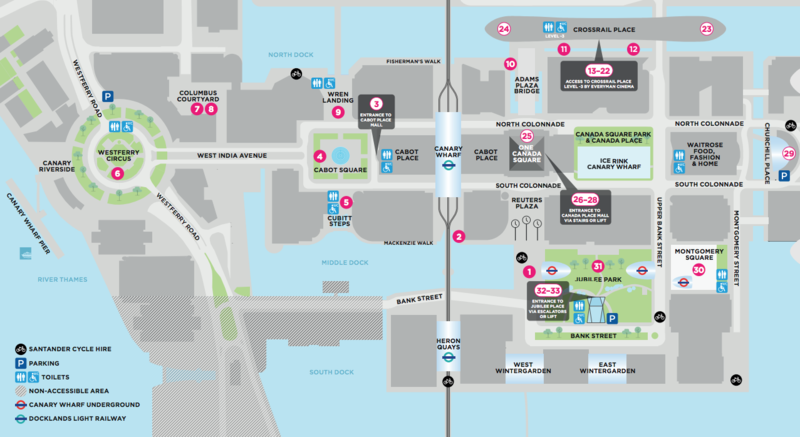 At Mapping London, we love the idea of a community getting together to brighten up a drab wall in their area, particularly when the artwork commissioned is a map! 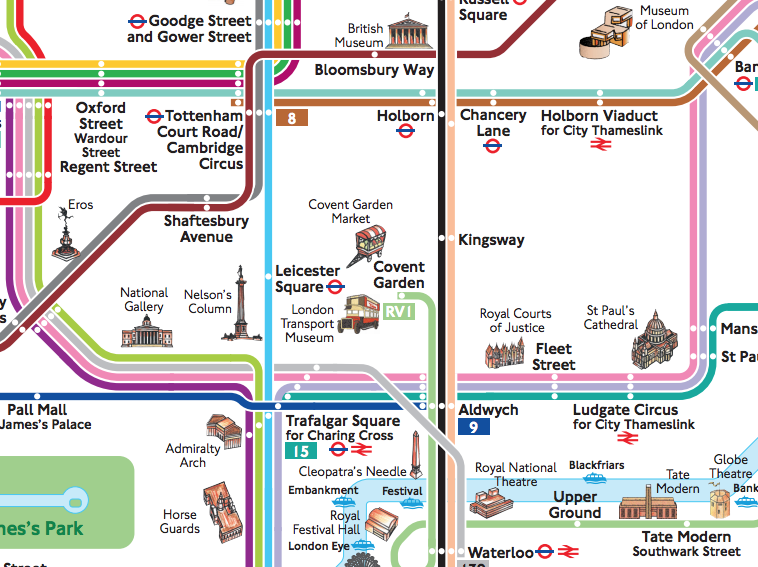 In this case, it is many maps – even better. The mural features 16 different maps, 8 on each side of the road, from 1593 (Norden’s map of Middlesex) right up to the latest 2018 Legible London map of the area (those attractive pedestrian maps you see on totem poles throughout the inner London, and now extending further out). 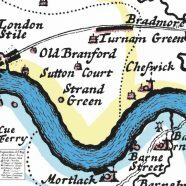 We feature three of these maps here – at the top is a map by William Knight from 1700 of “Towns, Villages, Gentlemen’s Houses for 20 Miles round London”, it shows that Turn(h)am Green has been around for far longer than the tube station which bears its name. Above is a land-use map drawn by Milne a hundred years later, in 1800. 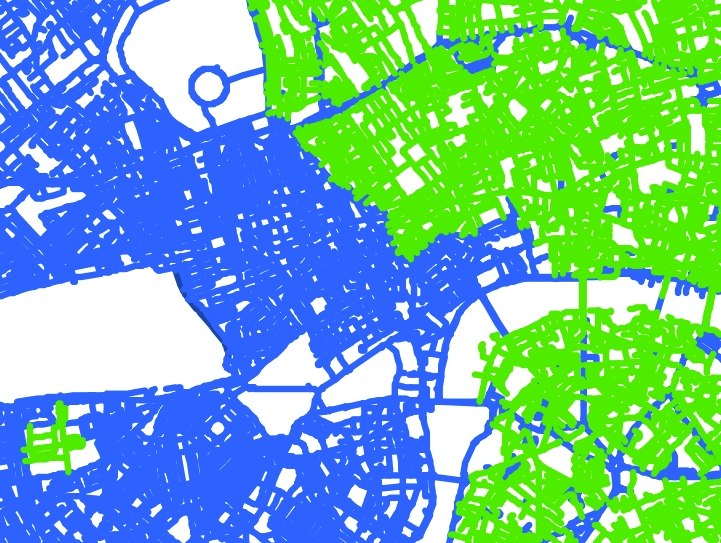 This is a historic “data” map, the colours depicting different land types. 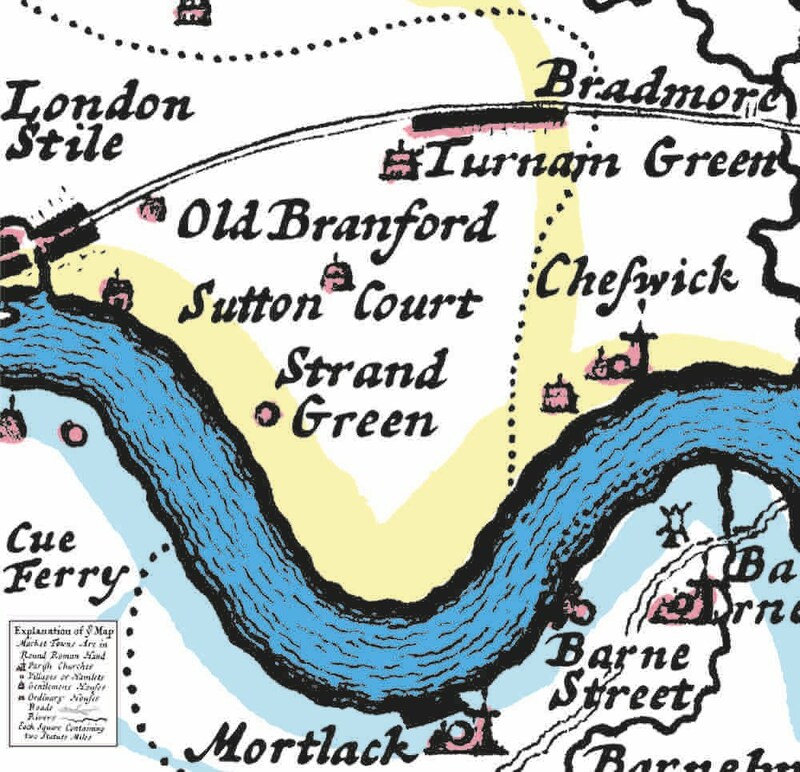 Showing choropleths and indeed simply using colour at all on a map was pretty ground-breaking 200+ years ago. 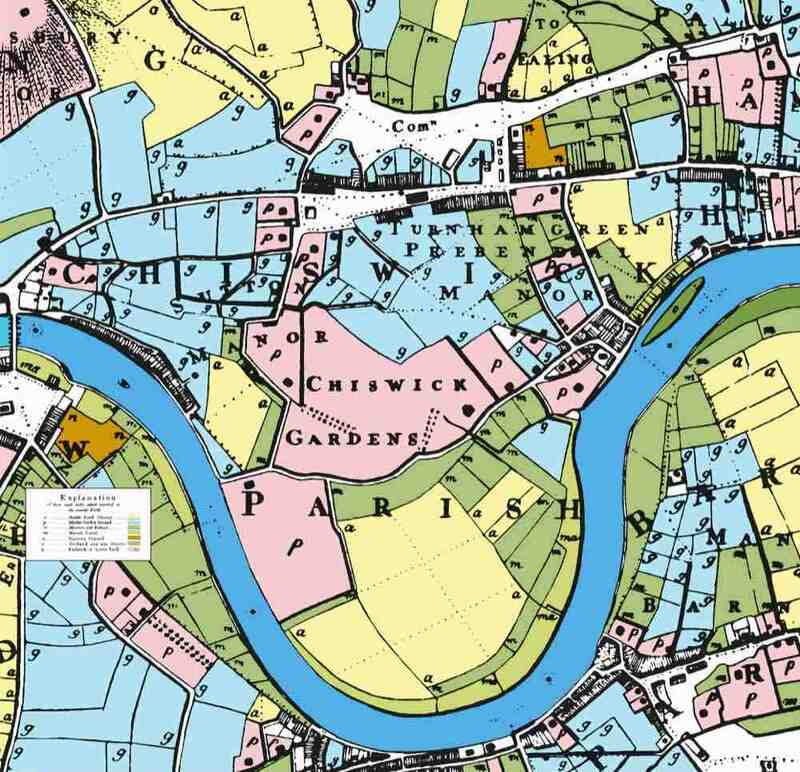 The many market gardens around Chiswick are coloured in blue, with orchards in green. 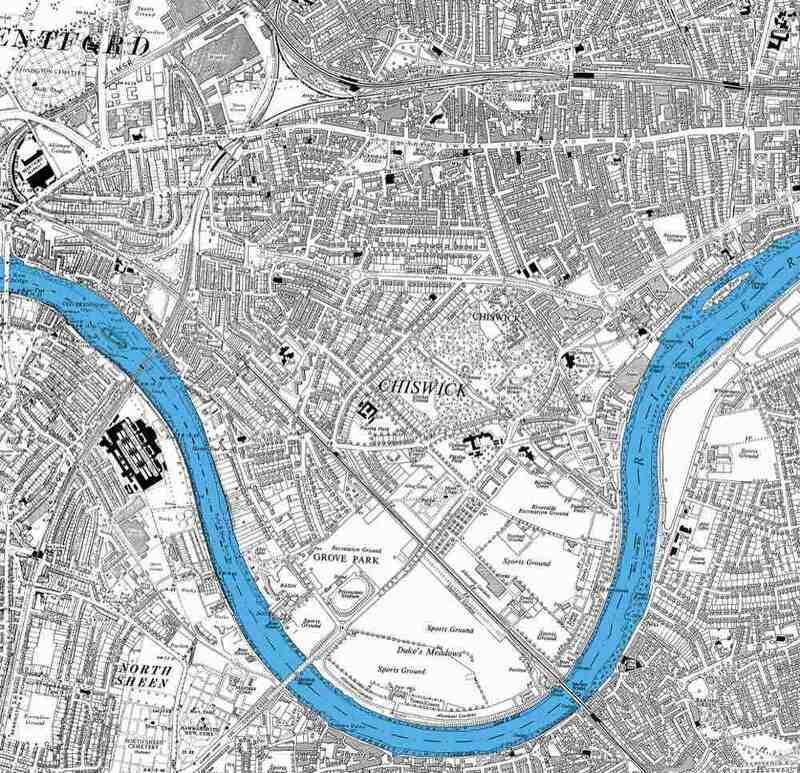 Finally, below is the 1949 Ordnance Survey “6 inch to the mile” map, with just the River Thames coloured in, which shows that Chiswick never got fully urbanised – the open lands to the south of the earlier maps have simply become (and are still) sports fields. 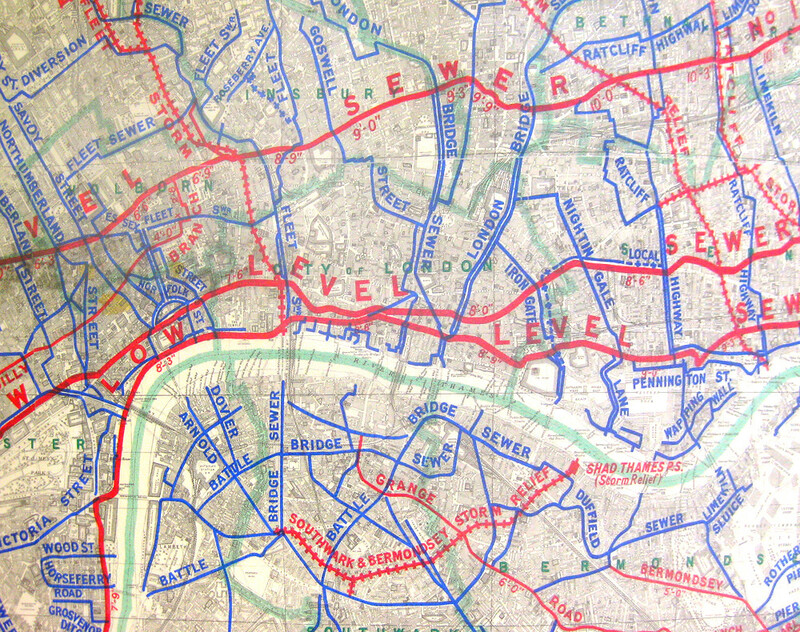 To create the work, much research was needed at the London Metropolitan Archive and Chiswick Library, amongst other places, and to ensure that the mural stays in good condition, and the maps remain colourful and durable for as long as possible, the panels were created using vitreous enamelling, the same process that creates many of the high quality roundels and other signs in London Underground stations. The great thing about this concept, is it can likely be applied to any bridge abutment that needs livening up, in any part of London. The city has a huge abundance of old maps, and a great many railway bridges too. 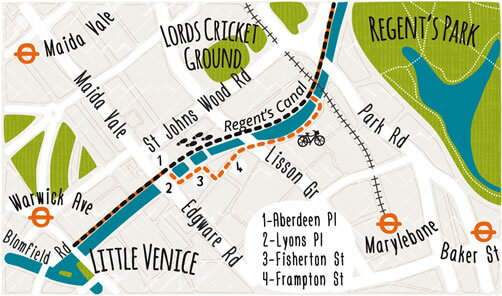 Chiswick Timeline was created by Abundance London and was funded by Hounslow and Ealing councils (it runs along the border between the two) with assistance from Transport for London. 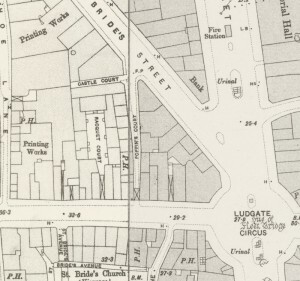 The 1949 maps is © Ordnance Survey. Below: the commemorative book.